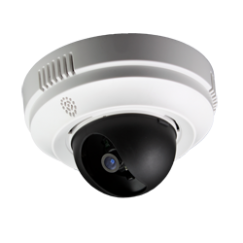 High quality 3-Megapixel CMOS sensor. Support watermark for security authentication. Support 24MB pre/post event recording buffer. 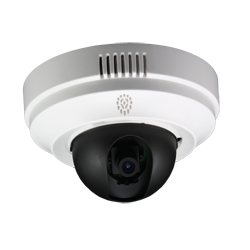 Grandstream’s GXV3611 indoor fixed dome IP camera provide an unobtrusive indoor solution that can be easily mounted on walls or ceilings for maximum security surveillance protection. Ideal for advanced surveillance requiring razor sharp image clarity and archived video used for investigative purposes, Grandstream’s GXV3611_HD camera includes a 2-Megapixel progressive scan CMOS sensor and advanced lens while delivering multi-rate H.264 real-time video streaming with a maximum resolution of 1,600 x 900 and at frame rate of up to 25fps. 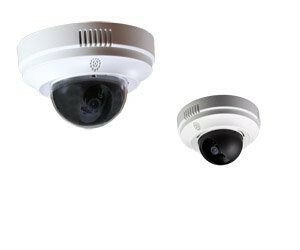 Retail stores, restaurants, campuses, casinos, apartment buildings and business offices looking for a cost-effective, open standard surveillance solution can easily implement these two new indoor security cameras for 24x7 protection of people and assets. With SIP/VoIP support, business owners can also stream all monitoring activity to a mobile or video phone, from anywhere in the world, using the GXV3611’s 2-way audio and video streaming capability. 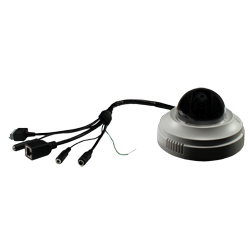 Image Sensor: 1/3.2", 2-Megapixel CMOS, 1,600H x 1,200V. Lens Type: 1/3", M12 MEGA, f=2.8mm, F=2.0. Pixel Dynamic Range: 71dB, with SNRMAX 41dB. Max Frame Rate in Max Resolution: 20 fps for 1600x900, 25fps for 1280x720, 30fps for 800x450, 640x360, 480x270, 320x180 and 240x135. Video Bit Rate: 32Kbps ~ 4Mbps adjustable (8Mbps maximum). Audio Output: 3.5mm LINE-OUT, built-in Speaker. Angle Adjustment X (Panning): 0° ~ 180°. Angle Adjustment Y (Tilting): 0° ~ 180°. Power over Ethernet (PoE): Yes (IEEE 802.3af). Dimensions (D x H): 138mm x 86mm.